Having a great looking lawn can be difficult no matter where you live. This is especially true in climates like Phoenix where the harsh weather and climate can make lawn care cumbersome. However, many people desire having a great looking lawn to boost the appearance of their home. A great way to care for your Arizona lawn is through the help of products offered by Evergreen Turf. 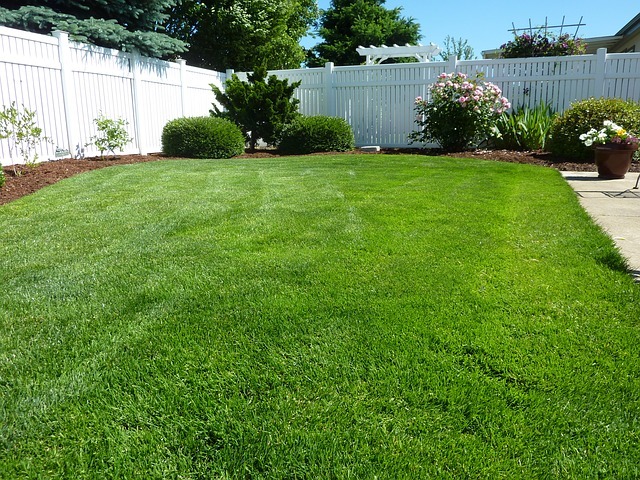 When it comes to having a great looking lawn, you must consider two main factors. First is the amount of effort that you are looking to put into the upkeep and care of your grass. The second factor is the conditions that it may experience, including weather and activity on the lawn after it is installed. Mowing your lawn can be tedious for some, while enjoyable for others. If you are willing to put in the effort, great looking lawns are those that are mowed at least once a week. They also require being fertilized more often, in order to provide nutrients to the grass. People who are willing to put in the extra effort with their lawn should consider a product like the Tifway 419, offered by Evergreen Turf. This is a great looking short grass that when taken care of, really highlights your Arizona lawn. Those that are looking to only mow their Arizona grass once every couple of weeks and do not want to continually fertilize, should consider a product like the Midiron. It is extremely durable and can handle tougher conditions. Another factor to consider when selecting the correct sod in Arizona should be the type of weather conditions that you experience. Living in Arizona, your lawn is sure to be under constant desert-like conditions. The aforementioned Tifway 419 and also the Tifway 328 are great options for people who do not have shade for their grass, making it consistently get heat from the sun. However, for those that have many trees and a lot of shade covering their grass, Evergreen Turf offers their Palmetto St. Augustine line of Arizona sod. Although no extreme, heat or shade, is perfect for your grass, these lines can handle differing weather conditions in cities like Tucson and Phoenix. It is also important to consider how you mow your lawn and if you have children or pets that will consistently be on the grass. Reel mowers require much more effort and cleanup. However, they also cut shorter and are more precise than rotary mowers. The Tifway line is great for reel mowers, even if you have children or pets that may consistently be running and playing on the lawn. But if you have a rotary mower, Midiron would be your best bet. The Midiron’s durability makes it perfect to handle rotary blades, as well as continual wear and tear from children and pets. Having a great looking lawn is hard work. But with a bit of effort and the correct knowledge of how to go about having a dream lawn, you can have a lawn that highlights the features of your home. The sod products offered by Evergreen Turf will allow you that chance.